For years, you wondered what it would be like to have a technological device for every student in your classroom. You went to your district’s meetings and became green with envy because School B did this cool Google Slide project. A project you couldn’t do because you only had 6 iPads in your classroom last year. However, you finally got word, that this year, ALL of your students would be issued an iPad. Immediately, tears of joy began to stream down your face. AT LAST, You will now have what you have always wanted. You mull over that thought for a few minutes. Letting it really sink in. You think to yourself, I will have 26 kids with iPads in my classroom…. EVERY. SINGLE. DAY. Joy quickly turns to panic…. You think to yourself, What am I going to do with these iPads and where do I start? Take a deep breath! No one, and I mean no one expects you to “flip” your classroom on the first week of school. Do not put pressure on yourself to use the iPads every minute of every hour. No administrator should expect you to do this, nor should you pressure yourself to do it. You are learning. Set goals for yourself. Overtime, you will become more comfortable using the technology with the students. 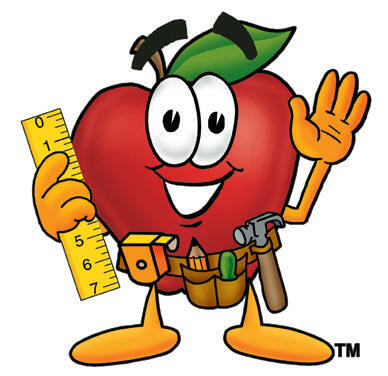 The iPad is just another tool in your teacher tool belt; just like the Apple TV, pencils, blocks and whiteboard markers, etc. You use these resources for specific reasons; the iPad should be no different. Trust yourself. You will know when it is time to use the device and when it is time to put the device away. Think of the iPad as a CREATION device. Throughout this upcoming year, think about ways that students can Create using the technology. The iPad is also a tool to help you differentiate instruction. Look for apps and websites such as Khan Academy that will help push kids forward and mend holes in their learning. In this digital age, kids have practically grown up with a computer in their hands. Although students may know how to tweet and find a youtube video; that doesn’t mean that they know all the cool things you can do on the iPad. That’s where your job comes in. Just because the student can like a photo, doesn’t mean they know how to take a photo. Just because the student can search a video on youtube, that doesn’t mean they know how to take a video, upload it to a google slide and share that project with you. Your students need to learn these basic skills. You may want to carve out technology time in your classroom. This would be 10 minutes sometime during the week where you teach the kids a particular skill. Doing this now will save you A LOT of time later on. Obviously, this is not an exhaustive list; but it will get you started. Tip#4 Teach students to be Digital Citizens. Students need to be taught how to navigate the digital world. They need to understand internet safety, copyright protocols, digital footprints, cyberbullying etc. Check out these free lessons to get you started! We all know that when students are on devices they suddenly become hard of hearing. They also can’t help but to continue using the application you told them to close and put away. One of the things that you can do is say, “iPads down, eyes on me.” Alternatively, you can have them show you the iPad. They can not use it, if the screen is turned away from them. You can also manage the iPads by using Apple Classroom. Apple Classroom allows you to easily monitor students online activity from you school issue iPad. This app allows you to lock student iPads and control the sites they visit. Ponder these questions: How will I get information(assignments/websites/Apps) to my students? How will I monitor their internet activity? This is where Google Classroom comes in. Google Classroom will help you manage student assignments and work. In the very beginning of the school year, set expectations, that students come to school with their iPad charged. Students should be taught to think of this task as a homework assignment. Try to be very firm about this in the beginning of the year. In addition, let their parents know what your expectation will be. Speaking of parents….. The use of technology in the classroom is a new concept for parents as well. Think about letting your parents know your expectations for iPads at Back to School Night. Creating a partnership with the parents will definitely help to facilitate the use of technology in the classroom. You could also send home a letter or better yet, have the students create a video of the expectations and have them show it to their parents. Also, let the parents know that bringing the iPad to school is part of being prepared. It is similar to bringing a backpack to school filled with all their necessary supplies. 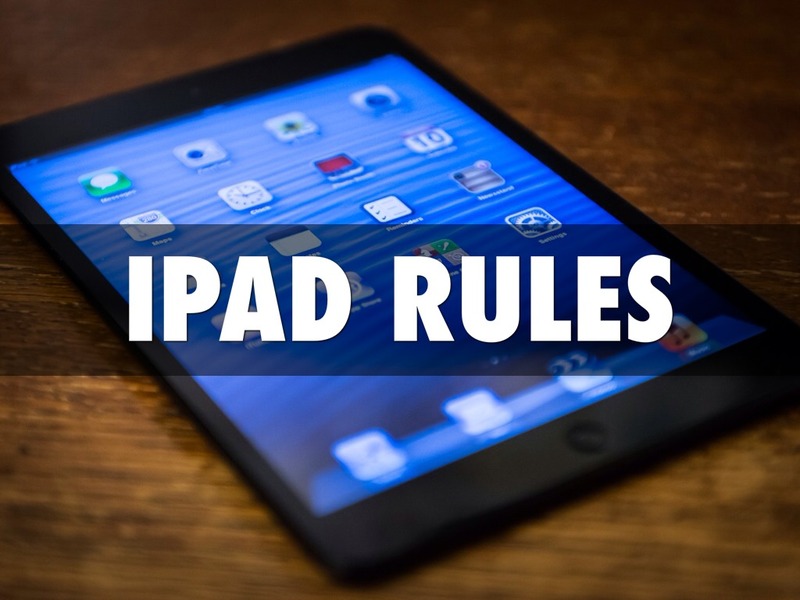 It is also important that the parents know the capabilities of a District issued iPad. In the Santa Barbara School District for example, students can only download apps from Self-Service. Also, encourage the parents to obtain insurance, if offered through the district, to help replace ipads that have been broken, or stolen. This is going to be an exciting year for both you and your students. Think of at least one creative project you would like to try with the students and do it. This may be creating a Google SlideShow. Filming their first iMovie or other video. Maybe students will complete a research project and create a poster using Google Drawing. Whatever it maybe, have fun and a great time this year! Next story Welcome to FlipGrid! Previous story From Posters to Productions, Inspire Directors With iMovie!